Since starting hemodialysis I have had to deal with incredibly dry skin. My skin literally flakes off because it is so dry and it actually hurts. Kidney failure can affect your sweat and oil glands, impacting your skin. You are also limited to the amount of water you can drink so your skin is dehydrated. I have spent the last few months trying a combination of different products and I have finally found a routine that sort of works for me. My skin is still dry but it no longer hurts or flakes. It also looks a lot healthier and does not look as dry. This is not a cure for your dry skin. I have spoken to a lot of people and they all admit that they try all these techniques and it helps for a while but not forever. But if you’re someone like me that is obsessed with trying to perfect everything, this will help. 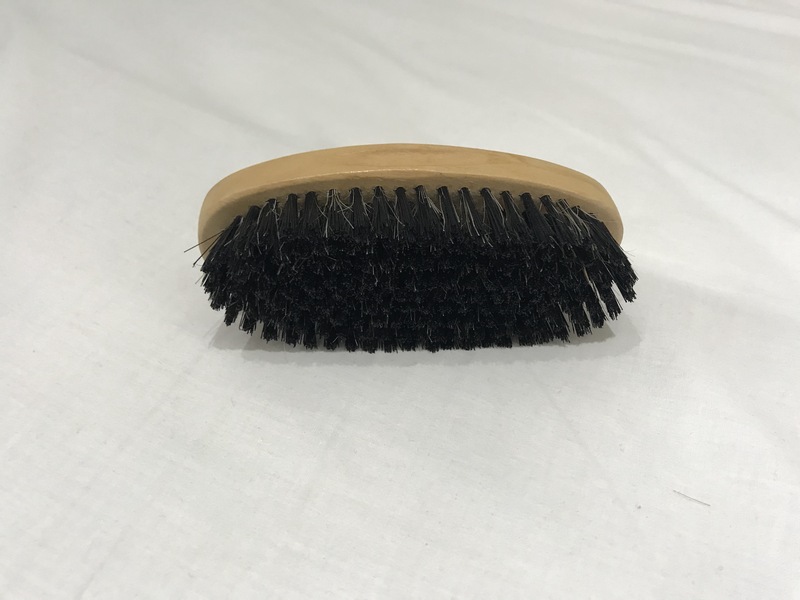 I was introduced to dry brushing by my friend/beautician. You can read the article she shared with me here. Before getting into the shower, I brush gently over my entire body to brush off the dead skin. I used a beard brush that I found at home but you can use any exfoliating brush. I literally see the dry skin flake off as I do this. Just be careful not to brush too hard. My skin is incredibly sensitive and I bruised easily so I have to remember to be quite gentle when doing the simplest things. Because my skin is so dry, I do two phases of exfoliation. The dry brushing and by using a salt scrub. Some people prefer to use their body scrub in the shower but I apply mine while my skin is still dry. This ensure that the salt does not dissolve under running water. 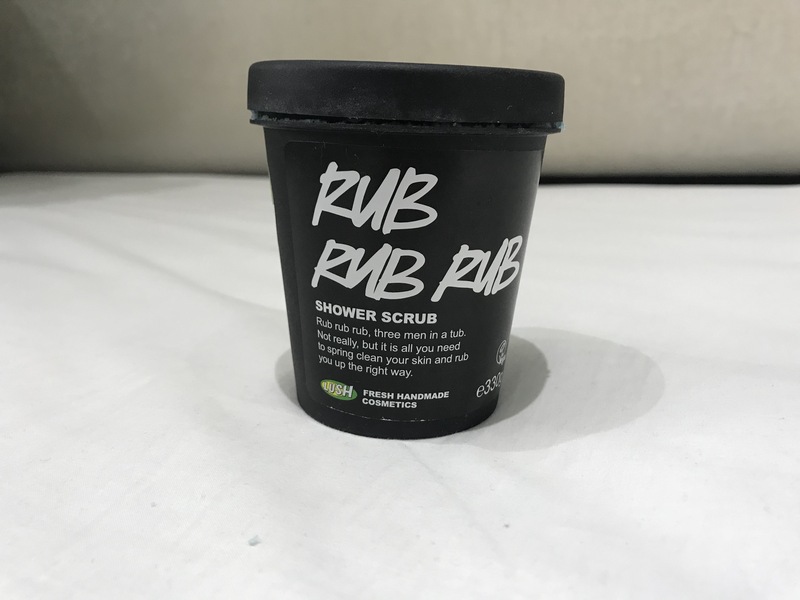 I use the Lush Rub Rub Rub and it is honestly amazing. It leaves your skin so soft. The salt pieces are quite big so it gives you a good exfoliation. Once I have applied the scrub and massaged it into my skin, I wash it off with warm water. 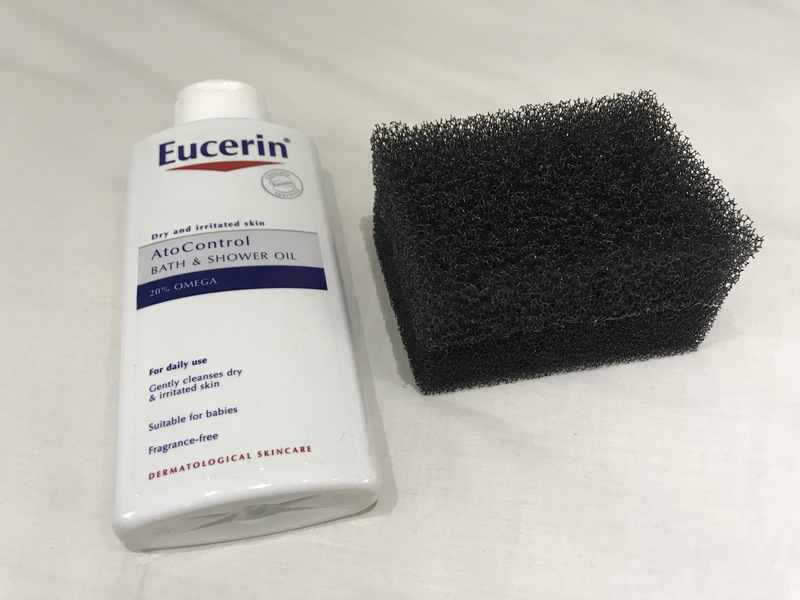 Once I am in the shower, I use the Eucerin AtoControl Bath and Shower Oil. This is an amazing little product. When you pour it from the bottle, it looks like an oil but as soon as you use it on your skin, it starts to lather up. It is non greasy but it leaves your skin so shiny and smooth. It is a bit pricey but a little goes a long way. Sometimes I apply this with my hands or with a sponge from Shzen. 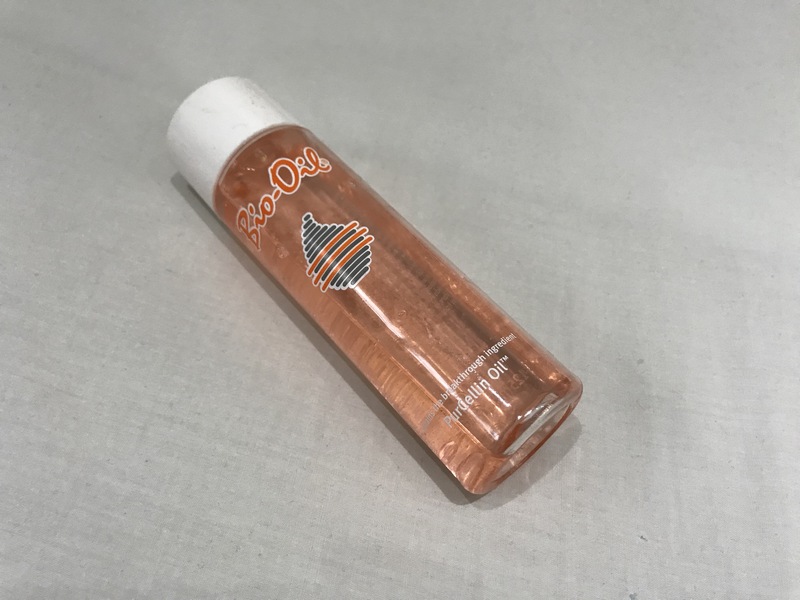 As soon as I step out of the shower, I use Bio-Oil (you can use any tissue oil or essential oil, but I love Bio Oil in general) all over my body. I do this before I dry my skin. So basically I massage the Bio-Oil into my skin with the water still on my body. Once I have done that, I take my towel and gently pat down on my skin so that I do not remove all the oil with my towel. I have honestly gone through so many different moisturizers. 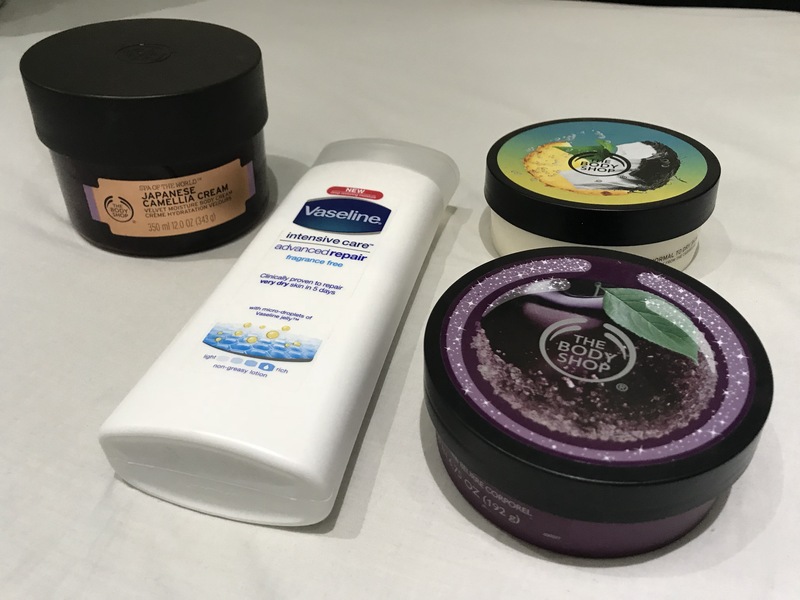 I have tried some from The Body Shop and others from Vaseline. I use PhysioGel AI Cream on the very dry spots like my knees, feet and elbows. I still haven’t found the perfect moisturizer though. So if you know of any, please let me know! I don’t know if you’ve used an Lush lotions, but their Charity Pot lotion is really good and super moisturizing! Read your story in London and just love your Blog. I use E45 for my dry skin mixed with glycerin from dischem . My skin is now well nourished and healthy all day long. Thanks praying for your healing.